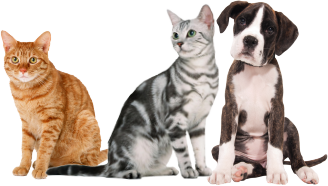 Diabetes Mellitus occurs in both dogs and cats and is the most common endocrine disorder in the emergency setting. Diabetes most commonly occurs in middle-aged female dogs and in older male cats. Diabetic emergencies that may occur include Hypoglycaemia & Diabetic Ketoacidosis. Insulin acts by reducing blood glucose levels, therefore too much insulin will result in severe hypoglycaemia. 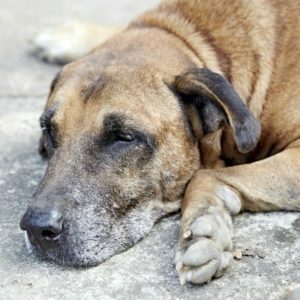 Pets exhibiting symptoms of hypoglycaemia should be brought immediately to an emergency veterinary hospital- if the animal is comatose or actively convulsing, honey can be applied to the gums before/during transport. If the animal is slightly altered but still conscious, transport immediately without using honey so as the veterinarian can obtain baseline blood glucose levels prior to treatment. Diabetic ketoacidosis (DKA) is a serious condition associated with very high blood glucose levels resulting in a build-up of acids in the blood. When blood glucose is too high for too long and there is not enough insulin, cells can’t use the glucose for energy, so they use fat for fuel instead. Burning fat makes acids called ketones that build up, changing the chemical balance of the blood. 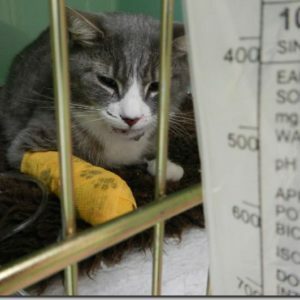 Symptoms are similar to other diabetic emergencies, and rapid transport to an emergency veterinary hospital is essential. DKA commonly occurs when there is a relative excess of stress hormones in an insulin deficient animal, therefore treatment will involve laboratory testing to detect underlying disease factors contributing to stress. Symptoms may be similar between both conditions, and may include excessive urination, excessive drinking, inappetence, weakness, ataxia/staggering, altered mental status, stupor, coma, or seizures. Treatment for diabetic emergencies will be dependent on clinical findings; initial stabilisation may include hospitalisation, IV fluid therapy, IV glucose, insulin therapy and blood tests will be required to determine the source of the symptoms.